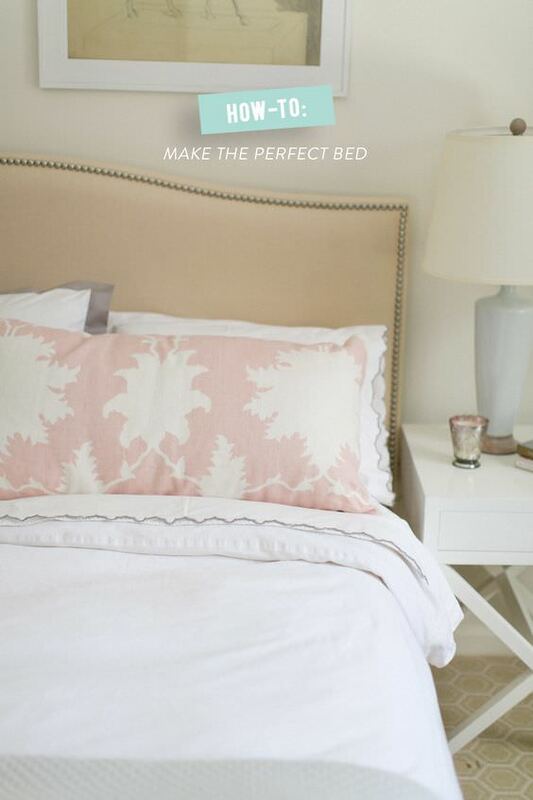 ‘Style Me Pretty’ has a great basic guide on how to make the perfect bed. This covers everything to get you started, and has the best tip we have found for finding the best sheet… It’s not all about thread count, although thats how they charge you! Steve and I heard this from an employee at Nordstrom once, and it is 100% true. It’s about the cotton. Not just any old cotton will do, the best is Egyptian or Pima cotton. If you buy sheets with that fabric, you can buy much lower thread count and still have the softest sheets around! Cha-ching! Also great step by steps on the basic bed. Must read for getting it down! ‘Pottery Barn’ has a quick video on how to fill a duvet (which I didn’t figure out ’till I was in my 30’s! ), and a couple of graphics to help you with the basics to remember on how to make a bed look amazing, and also where and how many pillows to use for each size bed. Easy to just glance at these and “get it”! ‘Trulia’ shows us how to buy bed linens so we can have that luxury feel to our bed, without wasting money on poor choices. We agree, cotton, good. Polyester, bad. From ‘Houzz’ 13 steps to a perfectly made bed has some great tips… including one’s that make all the difference, like ironing your linens, or using corner fasteners to keep the sheets smooth. Photo by ‘Normandy Remodeling‘. Ok, now that you have the basics all down, how about switch it up a bit? From ‘Style Me Pretty’, how to style a bed, 3 ways! 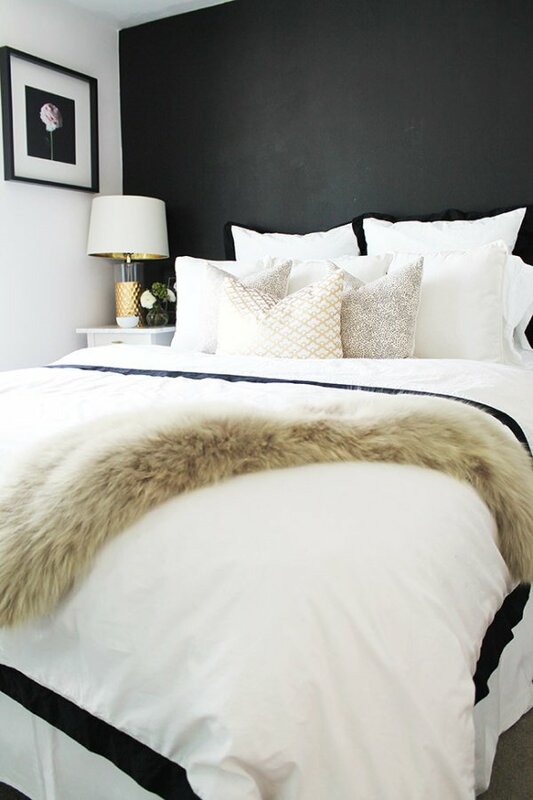 A little glam, a little minimal, and a neutral bed with texture… Yep, they are all the same bed! Need someone to pull it all together for you? Steven Whitehead at ‘One Kings Lane‘ does a nice video for us, where you can see a professional actually do it, and make it all look amazing! Ok, so ready? Tomorrow morning, it all changes, right? The post Make a Perfect Boutique Hotel Style Bed appeared first on The Budget Decorator.